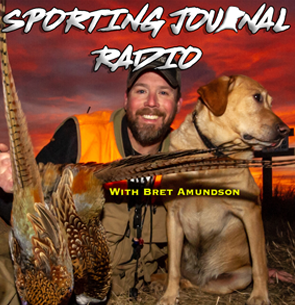 Bret “T-Bone” Amundson is the Emmy-nominated host of Prairie Sportsman TV, broadcasting to Minnesota, North Dakota, Wisconsin, South Dakota and Iowa, and Sporting Journal Radio, heard on 28 stations across the midwest. He is also a freelance writer, photographer and voice-over artist. In the fall and spring he guides waterfowl hunts with Mid Migration Outfitters. Before Prairie Sportsman, he hosted Northland Outdoors TV on Fox Sports North and provided stories and photos for Northland Outdoors Magazine. He’s also been the signature voice over for Jason Mitchell’s “Passion For the Hunt”, and Elite Archery’s “Respect The Game” shows, while also providing voice overs for the Minnesota Twins, Best Buy and more. His radio career spans two decades and includes stations in Minneapolis, Fargo and more after receiving a scholarship to attend Brown Institute. He is also a freelance photographer and has had his work published in numerous magazines and newspapers, while his videography credits include videos for outfitters and guides across North America promoting their services.